Ram’s latest pickup has just broke cover at the North American International Auto Show and is ready for adventures off the beaten path. The Ram 1500 Rebel is fitted with a custom front grille, Ram Power Wagon fender fares, a one-inch suspension lift, 33-inch all-terrain tires on unique wheels, and a fully customized interior. The Rebel is available with the 3.6-liter Pentastar V-6 and the 5.7-liter HEMI V-8, both backed by the TorqueFlite eight-speed automatic transmission and four-wheel drive. 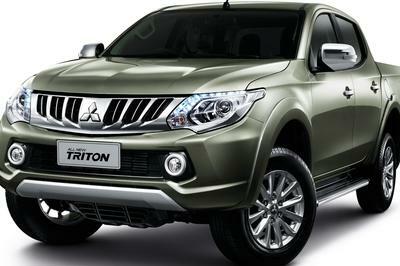 Sales will begin in second half of 2015. Head over to the new TopSpeed Trucks page for the full review and detailed run-down. 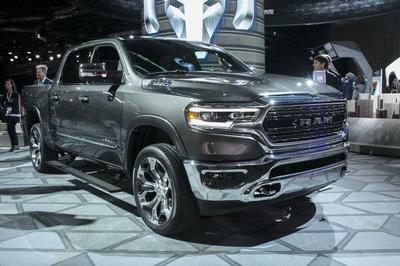 Ram Trucks was in need of a dedicated off-roader to compete with the likes of Toyota’s Tundra TRD Pro. However, Ram admits the Rebel is not competing against the no-holds-barred Ford Raptor, so don’t expect to find the Rebel running the Baja anytime soon. Regardless, the Rebel offers Ram customers a more off-road biased option past the hunting-flavored Outdoorsman and the standard off-road suspension package offered on standard Rams. 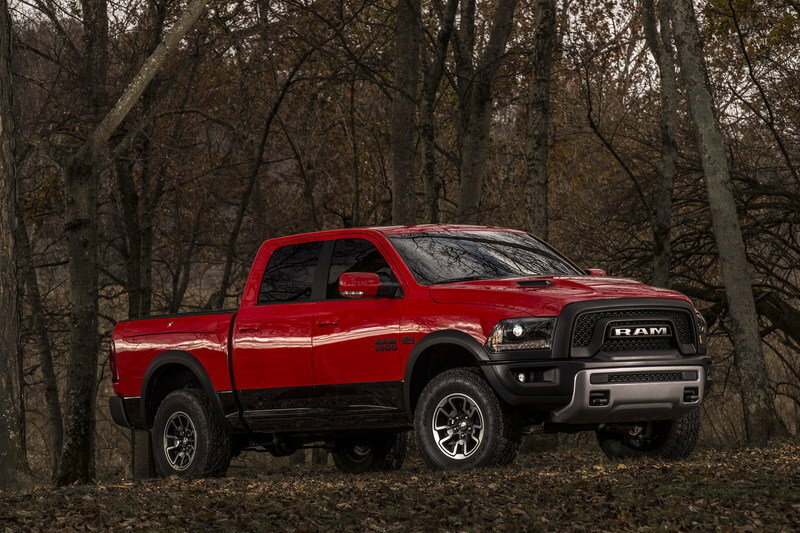 The new 2015 Ram 1500 Rebel brings a one-of-a-kind off-road design to the full-size truck segment. Rebel features an all-new grille with prominent billet silver “RAM” letter badge. Departing from the brand’s iconic “cross-hair” designs, the blacked-out Rebel grille tops a completely new black off-road front bumper design with a durable powder-coated surface, which incorporates a powder coated, billet silver skid plate, new front tow hooks and new LED fog lamps. Black bezel bi-functional projector headlamps with LED marker lights lie beneath an aluminum, twin-snorkel sport hood. Rebel’s blacked-out front-end continues on the flanks, where black Power Wagon wheel-arch moldings, flat-black badge, mirrors and lower body panels create a distinctive trail-ready presence. The new trim features a two-tone paint scheme with black as a constant on the lower body, front to rear. The Ram 1500 Rebel features an all-new 17-inch aluminum wheel. Among the most elaborate designs found in mass production, the new one-piece wheel incorporates matte black painted accent pockets and multi-angled surfaces linked to the Rebel’s off-road bias. Continuing around to the rearview is a bold new “RAM” stamped tailgate with blacked-out lettering. 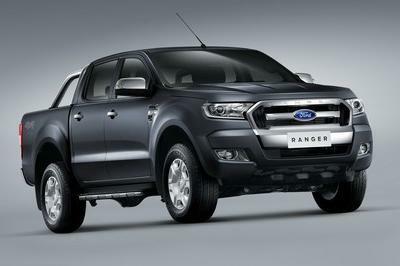 The “Rebel” and “4X4” badge emphasize the truck’s uniqueness. The rear bumper is also treated with durable black powder coating with flared cutouts around dual chrome-tipped exhausts. Tail lamps incorporate black bezels to match forward lighting. Rebel includes an optional backup camera, providing a better field of vision when maneuvering. A new tri-fold tonneau cover is embossed with the Ram logo. The Ram 1500 Rebel will be available in five colors, including: Granite Crystal Metallic, Bright Silver Metallic, Flame Red, Bright White and Brilliant Black. Both monotone and two-tone paint options are offered. Inside, Rebel is every bit as brawny and rugged as it is outside, featuring dramatic, industry-exclusive seating elements. High-durability technical grain vinyl seats are finished in Radar Red and Black with Sedoso fabric inserts embossed with the Toyo tire tread pattern, matching the Rebel’s actual footprint. Standard heated front seats feature Light Diesel Gray accent stitching, Radar Red Ram’s head embroidery on the headrests and Black with Light Diesel Gray Rebel nameplate embroidered on upper seat bolsters. The all-black instrument panel, door armrests and logo-embossed center console armrest cover are topped with two-tone Radar Red and Light Gray accent stitching. The center stack and console are finished in Iron Gray Metallic paint giving a cast-iron appearance. An all-new center console bin incorporates a cellular phone/tablet holder with molded insert allowing for various-sized devices. Radar Red anodized vent rings, door accent rings, door trim spears and center console trim ring add color detail to the interior. The Rebel’s heated steering wheel is wrapped with semi-perforated black leather, accented with Radar Red X-stitches. The upper glove box door is finished with a Rebel nameplate badge. Deep all-weather rubber floor mats with contrasting Radar Red Ram’s head help contain dirt, snow and debris. The interior is finished off with a new black headliner and matching upper pillars. 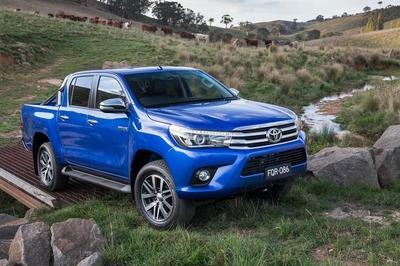 The Rebel’s trail-running capability gets a boost with 1.0-inch raised ride height for improved off-road approach, departure and breakover angles. Bilstein supplies front and rear shocks with unique tuning and a new steering calibration is matched to the Rebel’s increased ride height. A softer rear stabilizer bar provides improved dynamics. Beefy 33-inch (LT285/70R17E) Toyo Open Country A/T all-terrain tires are mounted to the all-new 17-inch silver and black cast aluminum wheels. A new tire offering for Ram trucks, the Open Country A/Ts are versatile all-terrain tires designed for rugged good looks, all-season handling and a comfortable ride. Their aggressive tread pattern offers good traction in bad conditions, on pavement or off. They feature a special wavy sipe arrangement for a comfortable ride and improved snow traction; groove bottom siping for more biting edges for increased traction in the snow and an open shoulder that maximizes water evacuation for excellent all-terrain traction and stability. The Rebel takes advantage of Ram’s exclusive air suspension system with a 1.0-inch factory suspension lift, which not only helps to clear the 33-inch tires but also contributes to additional ground clearance. A modified alignment of the independent front suspension appropriately adjusts tire angle and aluminum lower A-arms absorb the load. The combination of larger tires and a suspension lift yield best-in-class ground clearance of 10.3 inches, and a new stability program calibration takes Rebel’s modifications into consideration. Rebel is available exclusively as a crew cab model with 5-ft. 7-inch bed length. Both 3.6-liter Pentastar V-6 and 5.7-liter HEMI powertrains are offered, as is a choice of either 4X2 (HEMI only) or 4X4 configurations. RamBox is optional. Ram Rebel is the 10th member of the Ram truck lineup, which includes Tradesman, Express, SLT, Big Horn/Lone Star, Outdoorsman, Sport, Laramie, Longhorn and Limited. Rebel goes on sale early in the second half of 2015. The 3.6-liter Pentastar V-6 engine (Ward’s 10 Best Engines Award winner three years in a row) with variable-valve timing (VVT) offers 305 horsepower, 269 lb.-ft. of torque and best-in-class gasoline fuel economy of 25 miles per gallon (mpg). The legendary 5.7-liter HEMI V-8 with fuel-saving cylinder shut-off and VVT provide 395 horsepower and 410 lb.-ft. of torque. HEMI-powered Ram 1500 Rebel trucks are available in 4x2 or 4x4 powertrains with 3.92 or 3.21 gear ratios. When equipped with the 3.6-liter Pentastar V-6 engine, Rebel is available in 4x4 only with a 3.92 gear ratio, allowing the engine to leverage its power and torque. Both the 3.6-liter V-6 and 5.7-liter HEMI V-8 engines are available with a rear anti-spin differential, which turns both rear wheels in tandem when increased torque is applied – helpful in off-road driving conditions. 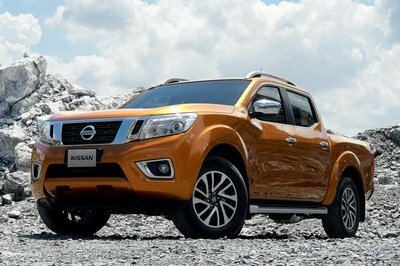 The design automatically unlocks the differential for normal on-road driving, allowing the wheels to spin independently for improved drivability. The class-exclusive eight-speed automatic transmission (TorqueFlite 8) – standard equipment with the Rebel’s 3.6-liter V-6 Pentastar and 5.7-liter HEMI V-8 engines, which improves drivability and enhances fuel efficiency. The 2015 Ram 1500 is backed with a five-year /100,000-mile Powertrain Limited Warranty. The powertrain-limited warranty covers the cost of all parts and labor needed to repair a covered powertrain component – engine, transmission and drive system. Coverage also includes free towing to the nearest Ram dealer, if necessary. The warranty also is transferable, allowing customers who sell their truck during the warranty period to pass the coverage onto the new owner. The standard three-year / 36,000-mile Basic Limited Warranty provides bumper-to-bumper coverage for the Ram 1500, from the body to the electrical system. The 2015 Ram 1500’s quality is scrutinized at the company’s Chrysler Technology Center’s state-of-the-art scientific labs in Auburn Hills, Michigan, including the Noise/Vibration/Harshness Lab, Electromagnetic Compatibility Facility, Wind Tunnel and the Road Test Simulator (RTS). For example, the RTS recreates the abuse a truck endures at the hands of a 95th percentile driver – meaning someone who drives the vehicle in more severe conditions than 95 percent of all customers. The RTS can put a lifetime of wear and tear on a truck in about one month’s time. The Ram development team is committed to finding and fixing any issues before the customer does. The 2015 Ram 1500 is built at the Warren Truck Assembly Plant (Warren, Michigan), which has built more than 12.5 million trucks since it started operations in 1938. Crew Cab and Regular Cab models of the 2015 Ram 1500 are built at the Saltillo Truck Assembly Plant in Saltillo, Mexico.